To be a hidden bar (note: not a speakeasy), you need to be a well-kept secret with no ostentatious indication of your whereabouts. 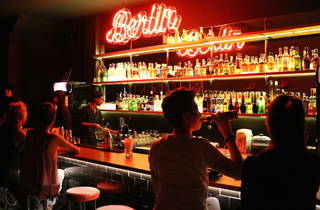 Roll in The Berlin KL, the coolest and edgiest hidden bar in KL today. Located in Chinatown, The Berlin KL would be easy to miss if it weren’t for its plain red door. Push to open and you’ll be greeted with a bright neon red sign that reads ‘Ich Bin Ein Berliner’. 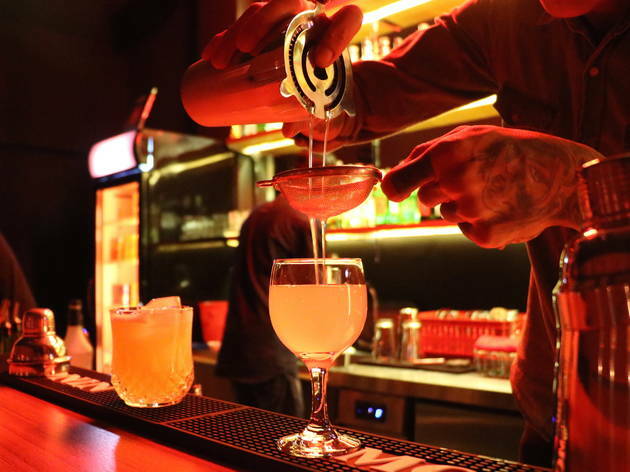 Berlin is known as one of the largest party cities in Europe, and the trio behind this establishment wanted to bring a part of that to the folks in KL. This dark bar is also lit up with another red neon sign of the city’s name just above the bar, which showcases the hefty liquor collection. In line with the theme, the walls are covered in graffiti tags along with photos of Berlin’s past. 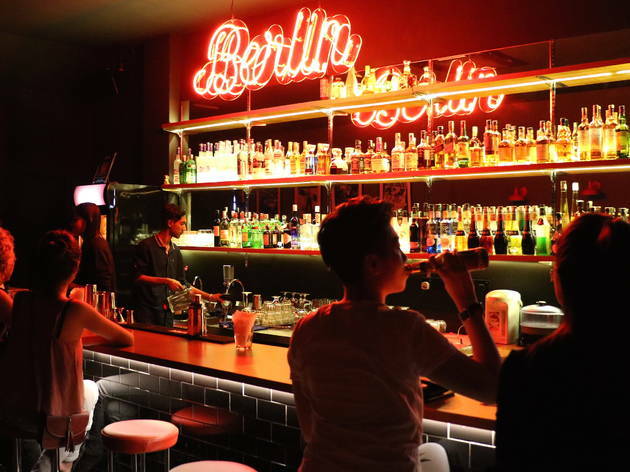 Also keeping things very European, The Berlin KL has a ‘back alley’ that doubles as the smoking area, but you can always sit inside to stay closer to the music; DJs spin every weekend with music ranging from urban, hip hop, R&B and more. 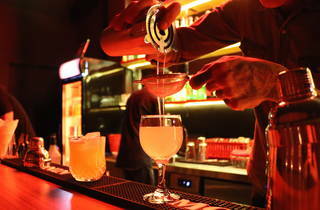 If you plan on drinking, take your pick from the four signature cocktails, all named after famous landmarks in Berlin: The Brandenburg, JFK, Lustgarten and The Berlin Wall. Lustgarten – a famous park in Berlin – is the bestseller; a mild and fruity drink with a punch of sourness from the freshly squeezed lime. It’s pretty too, with its garnishes of fresh and edible flowers. Pair the cocktails with bar snacks (available until 10pm) such as hot dogs and bite-sized sirloin steaks and lamb chops. To keep things exciting, The Berlin KL plans on introducing themed nights at least once a month. Stay tuned to their Facebook and Instagram page for more updates.